March 17, 2017 – Caroline Newman – This year, University of Virginia alumnus Jason Bordainick’s company, Hudson Valley Property Group, has rescued more than 2,500 affordable housing units from the chopping block and made them more livable and sustainable than ever, while still remaining affordable to the current tenants. Affordable housing is a growing problem in the United States. One recent report from U.S. Sen. Maria Cantwell, a member of the Senate Finance Committee, found that a dramatic increase in renters, a 13 percent decline in existing affordable housing units and stagnant wage growth have caused the demand for affordable housing to outstrip supply. Bordainick, who graduated from UVA’s McIntire School of Commerce in 2002, hopes that his company can provide a for-profit solution to that problem. He co-founded the company in 2010 with his childhood friend, Andrew Cavaluzzi. Their first project turned around nine affordable housing units in Newburgh, New York, about an hour from their hometown, and gave the pair a taste of what it was like to tangibly improve someone’s living situation. This is not Bordainick’s first venture into real estate. As an undergraduate, he started a student housing website that has now expanded to serve more than 2 million students at 100 universities, including UVA. Bordainick is still on the board of that company, now called Off Campus Partners and run by fellow alumna Trina Jones and her father, Duke Jones. 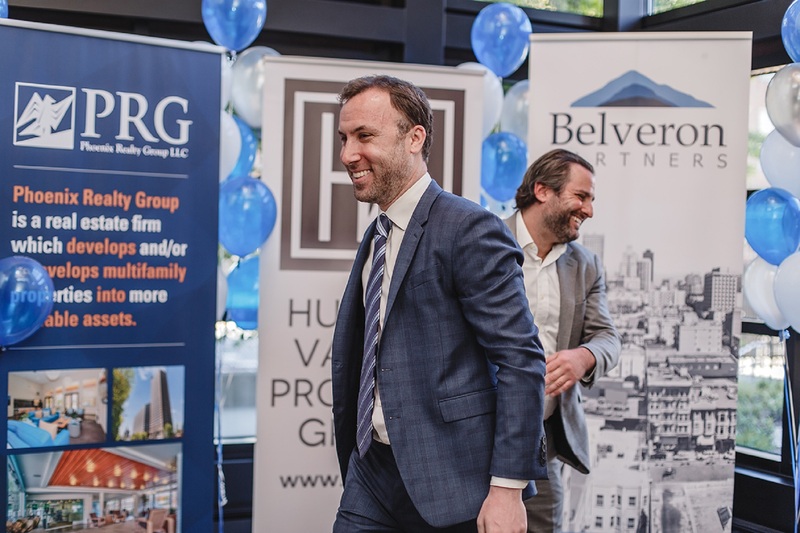 However, he devotes the bulk of his attention to Hudson Valley Property Group, which now invests in 16 affordable housing complexes throughout the East Coast. For each project, Bordainick and his team work with current owners – usually either private real estate developers or non-profit organizations and churches that have struggled to finance the properties – to refinance and remodel. Typically, current tenants remain in the units, as the company strives to maintain affordable rental rates and instead uses operating cost savings, energy efficiencies and new funding sources to finance the turnaround and operate in the black. On average, low-income residents pay no more than 30 percent of their income toward rent. “We use a public-private financing model and try to figure out how we can lessen the burden on local, state and federal agencies and attract new capital,” Bordainick said. Often, that means seeking out little-known programs, such as a tax credit program requiring banks to invest in communities where they have branches. In addition to stabilizing a property’s finances, Bordainick and his team partner with local architecture and design firms to rehabilitate the physical space and tailor the units to residents’ needs. Many of the properties are intended for senior citizens and have services and spaces specifically designed to accommodate their needs. Others are home to families for whom English is a second language and include bilingual features and education spaces. All of the properties are held to high design standards and incorporate sustainability and green energy strategies to maximize the long-term potential of the site. Bordainick said seeing the residents’ reactions is the best part of the work. He believes that the public-private financing model his company practices is the future of affordable housing in the United States.